NY NYC & Hoboken NJ - ERIC DELAURO & The RAT PACK BAND New York City . 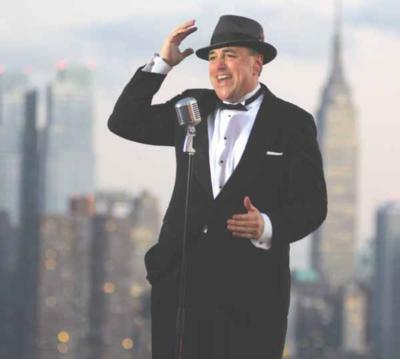 Songwriter Vocalist Bandleader MC - Direct from Mr. Frank Sinatra's Hometown and First House in Hoboken Little Italy. Multi-Awarded WINNER Vocalist of International TV Television music contests. Today's Cocktail Party Strolling Singer of many Music Formats & Dance Party Hits. Performs as SOLO Vocalist, or with BANDS or DJ for Fully Customized events. TV TELEVISION Appearances - Numerous live and show TV and Network appearances. 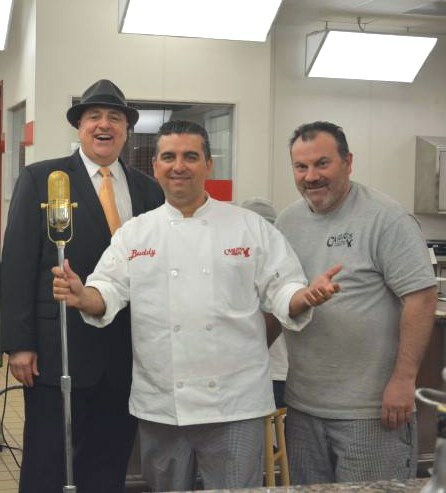 CBS USA Network News - The CAKE BOSS FOX - "Tony on NY", and CBS Travel Tour Dining. Customized Music Services tailored to your Desires, Genres, & Formats- to your Event - Needs, Requirements and Venue. Today's Great Dance party Music & Swing of All Genres for Dance Floor Events for All Ages. Performing Internationally - Music that's Always Right for All Occasions. Cocktail Parties, Client Events, Customer Meetings and Sales Product Kick-Offs. The World's First International Entertainment ICONs. at The Frank Sinatra IDOL tribute celebration. So Quality and Fun is assured. We help your music Dreams and become Cherished lifetime memories. Event music performances, goes to support our Music Education initiatives. could speak to better understand your music interests and needs . Along with your - Desires, Audience, Venue, Timelines and Requirements, . Together we plan music your audience loves and maximizes your event. We hired DELAURO for our Dad’s 80th birthday party. It was a wonderful celebration. DELAURO brought the party to life. We can’t imagine the party would have been as successful without DELAURO’s wonderful voice and gift of inspiring grandparents, children, and grandchildren to sing along. Thank you! We highly recommend DELAURO. Need a unique talent for an event? HIRE ERIC DELAURO! It was a 48-hour, last minute idea to hire a Frank Sinatra impersonator to surprise our aunt at her 90th b'day, and Eric came through with flying colors! He was very professional, following up on every detail with calls/texts. Once he started singing we were mesmerized by his talent and passion for the music style (if you closed your eyes you'd swear it was Frank)! He is an expert at coaxing every guest to sing into the gold microphone, a true gift! He's the real deal and went above and beyond our expectations, every guest was laughing and singing! We're so grateful to Eric for making this a truly memorable event! This was a fun experience and everyone enjoyed ! People were involved and engaged. Eric was great. Everyone enjoyed signing with him. So many people commented on how much he sounds like Ol Blue Eyes himself! Eric is a true entertainer. It wasn't just his beautiful Sinatra like voice, he engaged my guests and made the party a great success. I received many compliments after the party about Eric. I highly recommend! 100% recommend DeLauro - hire him. If I you're considering it, just pull the trigger, you will not regret it. Eric travelled all the way from Hoboken to Cherry Hill to perform at my parents 50th Wedding Anniversary. Not a single guest left without telling us how much fun they had and how entertaining he was. He was funny, he was personable, he was entertaining, he was spontaneous, he was professional. He worked the whole room, got every single one of my family and friends to sing a little bit and ensured everyone laughed, even my 94 y/o aunt. On top of this he has a great voice and an expert in the material. So very happy he was part of my parents special day. DeLauro was an excellent performer and really made my grandfather's 100th Birthday special and unique. He took extra time to look up specific pieces that my grandfather wanted in addition to providing background music and lyrics for my grandfather to sing. DeLauro was extremely flexible with changes going on during the event, and in addition to music and photography, he was an outstanding MC. During the event, my family kept asking me where to find him and to make sure I keep his information. After this experience, we will be sure to use and recommend DeLauro for future events. I booked Eric DeLauro as a wedding gift and surprise for my husband, Geoff. When Geoff heard the music walking into cocktail hour he thought it was playing from a CD and was totally blown away when he realized it was someone actually singing! My wedding guests are still talking about the experience and Eric's talent to this day! He was so much fun to work with and made the cocktail hour a huge hit! Young and old, everyone had a good time singing with him! My husband and I are so thankful for your time and it is definitely something we will never forget! Eric DeLauro is AWESOME, TALENTED, FUN, GENUINE, KIND, and AMAZING! I give him my highest recommendation! Please note DELAURO & The RAT PACK BAND Swing NY & Sinatra NYC will also travel to Long Island City, Brooklyn, North Bergen, Bronx, West New York, Union City, Weehawken, Flushing, Fairview, Edgewater, Hoboken, Jersey City, Ridgefield, Cliffside Park, Palisades Park, Fort Lee, Secaucus, Ridgefield Park, Leonia, Englewood Cliffs.